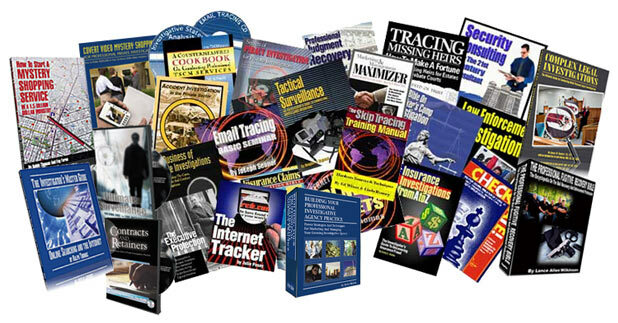 HUGE INVESTIGATIVE TRAINING ON SALE NOW! HUGE BOOK, CD AND DVD SALE ! 70 BOOKS, MANUALS, CDs AND DVDs ON SALE NOW! PICK AND CHOOSE-MIX AND MATCH! CHART FOR YOUR DEEP WHOLESALE DISCOUNT! HURRAY! THIS IS A LIMITED TIME SALE! Note: This is a limited time sale that applies ONLY to the products listed above. It can not be combined with any other discount, or special combo purchase. In order to obtain the discount, the order for the products must be ALL made at one time. This special sale can not be applied to past purchases .